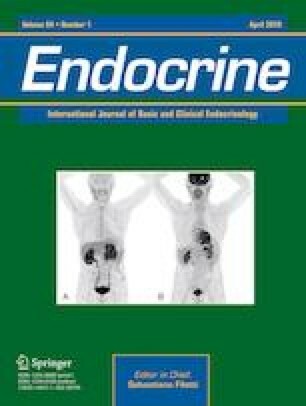 Nuclear medicine has been implicated in the diagnosis and treatment of endocrine disorders for several decades. With recent development of PET tracers, functional imaging now plays a major role in endocrine tumors enabling with high performance to their localization, characterization, and staging. Besides 18F-FDG, which may be used in the management and follow-up of endocrine tumors, new tracers have emerged, such as 18F-DOPA for neuroendocrine tumors (NETs) (medullary thyroid carcinoma, pheochromocytomas and paragangliomas and well-differentiated NETs originating from the midgut) and 18F-Choline in the field of primary hyperparathyroidism. Moreover, some peptides such as somatostatin analogs can also be used for peptide receptor radionuclide therapy. In this context, Gallium-68 labeled somatostatin analogs (68Ga-SSA) can help to tailor therapeutic choices and follow the response to treatment in the so-called “theranostic” approach. This review emphasizes the usefulness of these three novel PET tracers (18F-Choline, 18F-FDOPA, and 68Ga-SSA) for primary hyperparathyroidism and neuroendocrine tumors. All patients signed an inform consent stipulating that their images could be used in a research context after anonymized. C. Ansquer, D. Taieb, F. Montravers, F. Tenenbaum, PET imaging with 68 gallium labelled somatostatin analogues in the evaluation of neuroendocrine tumours (NETs). http://www.em-consulte.com/en/article/963107. Accessed 16 June 2018. K. Pacak, S.H. Tella, Pheochromocytoma and Paraganglioma. ed. by L.J. De Groot, G. Chrousos, K. Dungan et al. Endotext. (MDText.com, Inc., South Dartmouth (MA), 2000). http://www.ncbi.nlm.nih.gov/books/NBK481899/. Accessed 12 June 2018.